The convenience of a single serve coffee maker without the high cost. Compact design allows you to take it anywhere-home, work, school, travel, or camping. 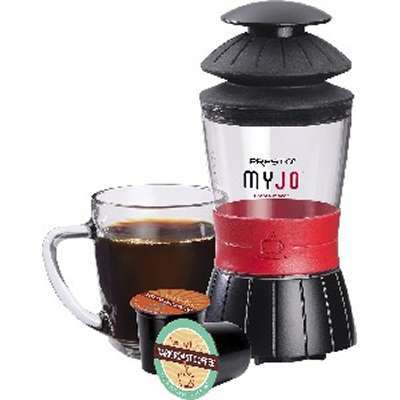 Uses convenient K-Cup packs and other commercially produced single serve cups.